Old Ordnance Survey Maps of Gorton, Denton, Reddish, Audenshaw history. We have published three versions of this map, showing how the area changed across the years. 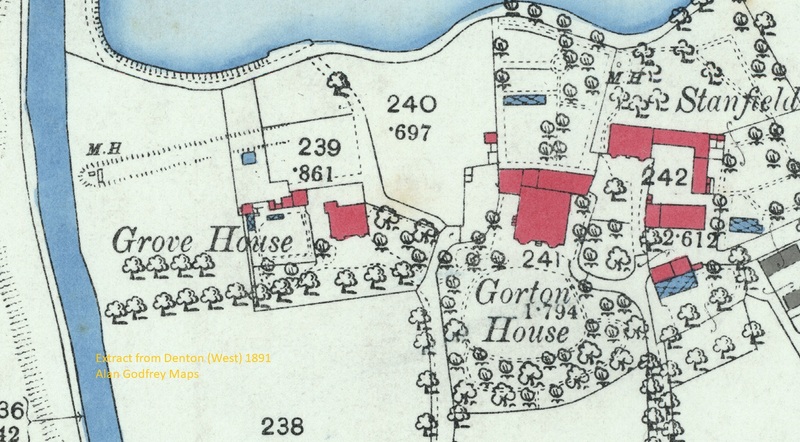 The 1891 version is in full colour, taken from the beautiful OS 1st edition handcoloured map. The maps cover the western part of Denton and the eastern part of Gorton around Gorton Bridge. A small portion of Reddish is also included. Features include Brook Green, Gorton Bridge, tramways, Debdale Park or recreation ground, Gorton Lower Reservoir, Gorton Upper Reservoir, Audenshaw Reservoir Nr.2, Gorton House, St Agnes church Reddish, short stretch of GCR or LNER railway with Hyde Road Junction, stretch of Stockport & Guide Bridge line with Denton station, Lancashire Felt Works, Denton Golf Course, etc. The map links up with Lancashire Sheets 105.09 Audenshaw to the north, 104.16 Gorton to the west, 105.14 Denton to the east, 112.01 North Reddish to the south. This map takes us to the edge of Manchester, with Gorton House and Debden Park, and also includes sections of Denton and Audenshaw, both of them urban districts from 1894 until 1974. The Denton area is notable for the large Lancashire Felt Works and also for Denton station, latterly infamous for the country's worst train service. 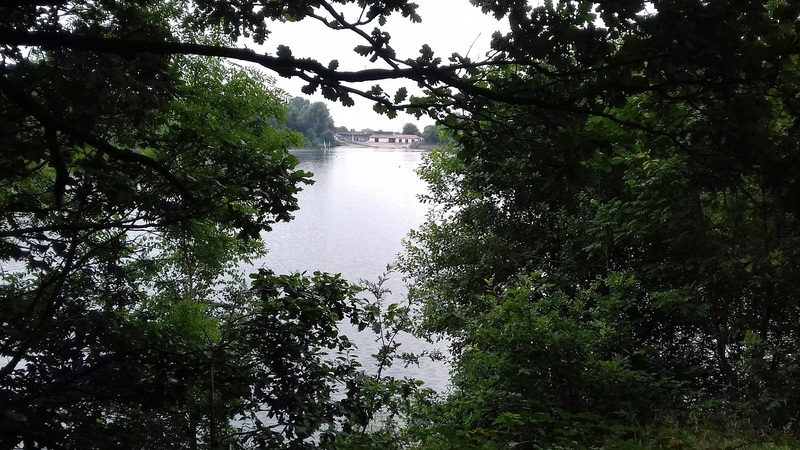 Large sections of the Audenshaw Reservoirs fill much of the Audenshaw area, but further west are the Gorton Reservoirs, now major features of Debdale Park, in which stands Gorton House, probably built for a local mill owner, Robert Grimshaw, in the 1780s, and later used as a school for young ladies, but struggling for a proper use ever since. "Connecting these communities were the tracks of Manchester Corporation Tramways, notably with routes 19, from Manchester Victoria St to Denton and Hyde, and 32, from Manchester to the Bull’s Head, the landmark Reddish pub near the junction of Gorton Road and Thornley Lane (here the P.H. just across from a P.C.B. or Police Call Box). 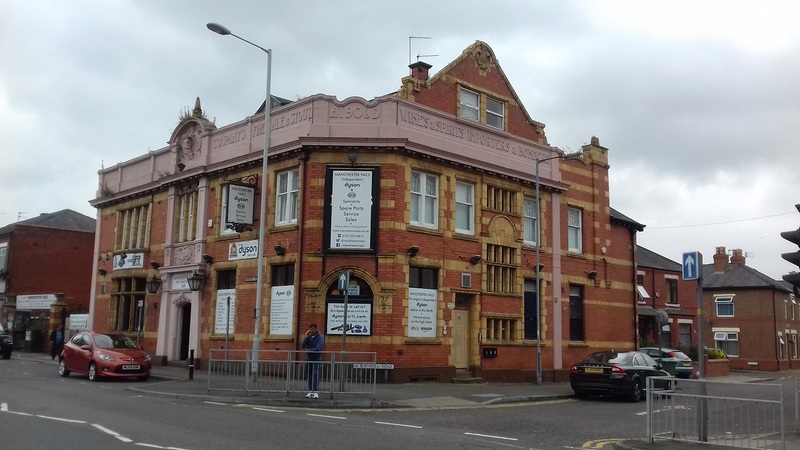 The pub is today used as a vacuum cleaner service base, but retains its distinctive presence. Manchester’s trams had earlier continued on to Reddish Vale Road but had been cut back in 1932. 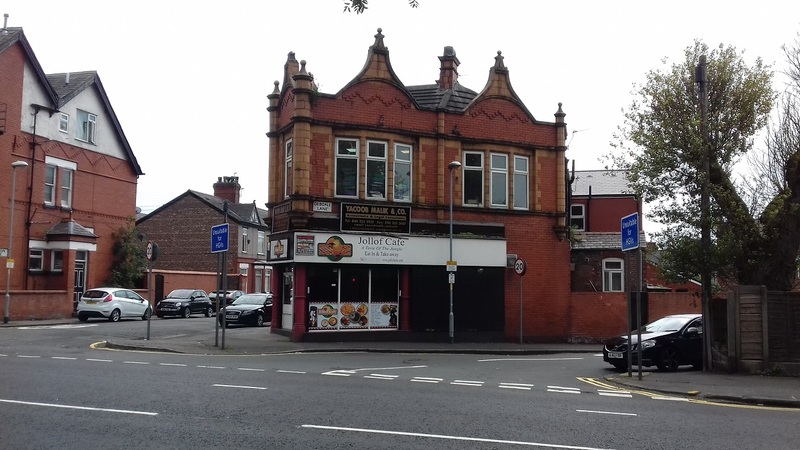 Stockport’s trams also came up Gorton Road to the Bull’s Head, and it was here, in 1942, that a petite conductress was hoisted high into the air by her trolley rope, injuring herself when she fell, an incident that led to smaller women being confined to the buses. 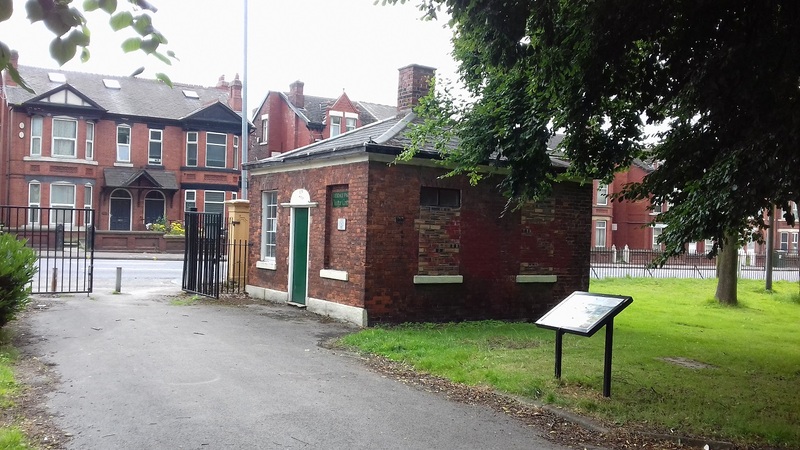 At the junction of Denton, Gorton and Reddish, this remains a natural bus terminus."